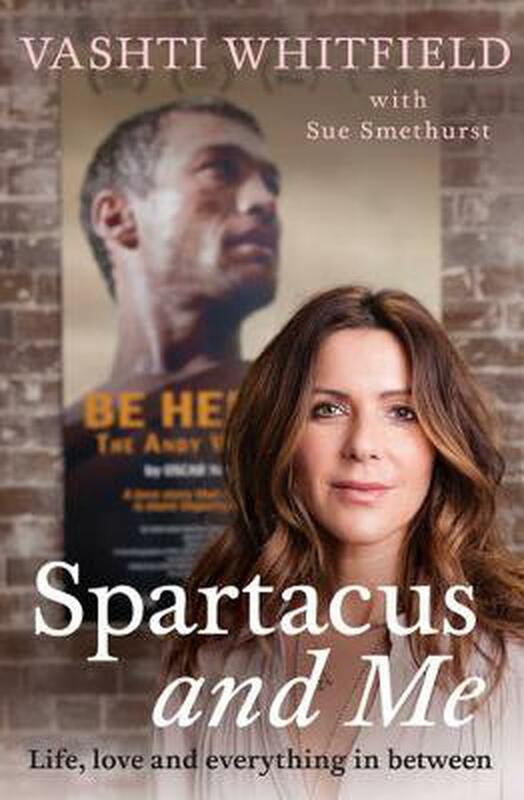 A poignant and searingly honest memoir about love and life with Andy Whitfield. When you meet the love of your life, the one person you want to spend the rest of your days with, what do you do when they're ripped away? Vashti and Andy Whitfield fitted together like the missing pieces of a perfect jigsaw. From the moment they met, they were inseparable. Vashti inspired Andy to fight fearlessly to achieve whatever he dreamed, and he gave her a love so deep that they both knew their life together would be nothing less than extraordinary. When Andy was talent-spotted on a Sydney beach, life changed forever. The shy engineer found his calling as an actor, landing the lead role in the hit Hollywood TV series Spartacus, while Vashti achieved her own dream, becoming a highly sought after executive coach. The arrival of their two beautiful children made their world complete. But then Andy was diagnosed with cancer. Miraculously he recovered and went back to his starring role...But as Andy fought gladiators in the ring, the cancer was waging its own war inside his body, and this time it wasn't going to be beaten. Despite the shocking inevitability of his illness, Andy and Vashti were determined to leave a meaningful legacy, and bravely chose to share their journey to the end in the award-winning documentary Be Here Now. Now Vashti has rebuilt her life, and in this honest, heartfelt and at times hilariously moving story, she tells of life, love and overcoming loss - and the legacy we can all leave behind. With close to fifteen years of experience in her field, Vashti Whitfield is a highly sought after international executive coach, facilitator, speaker, and mentor, with a client base that ranges from senior level executives to fledgling entrepreneurs and high profile celebrities. Following the recent loss of her soulmate and husband, Hollywood actor Andy Whitfield, Vashti has continued her mission to educate, transform, and inspire by turning her profound experience of personal grief into an equally powerful catalyst to help others realise their full potential and make the most of their lives. Visit her website and blog at maybemcqueen.com, and find out more about the inspiring love story of Andy and Vashti Whitfield in the highly awarded documentary Be Here Now: beherenowfilm.com.